Earth's rotation is the rotation of Planet Earth around its own axis. Earth rotates eastward, in prograde motion. As viewed from the north pole star Polaris, Earth turns counter clockwise. 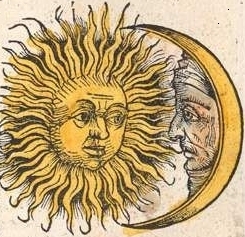 Solar time is a calculation of the passage of time based on the position of the Sun in the sky. The fundamental unit of solar time is the day. 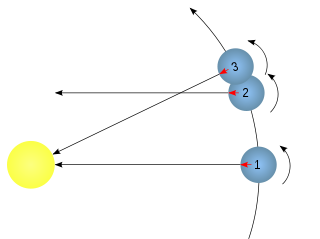 Two types of solar time are apparent solar time and mean solar time. The International System of Units defines seven units of measure as a basic set from which all other SI units can be derived. The SI base units and their physical quantities are the metre for measurement of length, the kilogram for mass, the second for time, the ampere for electric current, the kelvin for temperature, the candela for luminous intensity, and the mole for amount of substance. 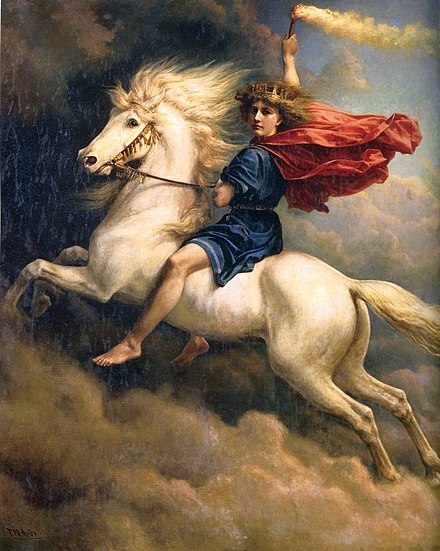 Day can be defined as each of the twenty-four-hour periods, reckoned from one midnight to the next, into which a week, month, or year is divided, and corresponding to a rotation of the earth on its axis. However its use depends on its context, for example when people say 'day and night', 'day' will have a different meaning. It will mean the interval of light between two successive nights; the time between sunrise and sunset,  in this instance 'day' will mean time of light between one night and the next. However, in order to be clear when using 'day' in that sense, "daytime" should be used to distinguish it from "day" referring to a 24-hour period;  this is since daytime usually always means 'the time of the day between sunrise and sunset. The word day may also refer to a day of the week or to a calendar date, as in answer to the question, "On which day?" The life patterns (circadian rhythms) of humans and many other species are related to Earth's solar day and the day-night cycle. Night or nighttime is the period from sunset to sunrise in each twenty-four hours, when the Sun is below the horizon. However it can be defined differently and is subjective. Night can be defined as the time between bedtime and morning. There is no exact time for when night begins and ends. The start of night begins when evening ends, which is subjective, but is typically believed to end at astronomical sunset, which is when night may begin. There can be no precise definition in terms of clock time, but it is usually considered to start around 9 pm and to last to about 5 am. Since sunset and sunrise vary throughout the year there can be no precise definition in terms of clock time. Night and morning overlap when one considers morning to start past 12 am, which can be described as 'morning-night duality'. Several definitions of this universal human concept are used according to context, need and convenience. Besides the day of 24 hours (86 400 seconds), the word day is used for several different spans of time based on the rotation of the Earth around its axis. An important one is the solar day, defined as the time it takes for the Sun to return to its culmination point (its highest point in the sky). Because celestial orbits are not perfectly circular, and thus objects travel at different speeds at various positions in their orbit, a solar day is not the same length of time throughout the orbital year. Because the Earth orbits the Sun elliptically as the Earth spins on an inclined axis, this period can be up to 7.9 seconds more than (or less than) 24 hours. In recent decades, the average length of a solar day on Earth has been about 86 400.002 seconds  (24.000 000 6 hours) and there are about 365.2422 solar days in one mean tropical year. A tropical year is the time that the Sun takes to return to the same position in the cycle of seasons, as seen from Earth; for example, the time from vernal equinox to vernal equinox, or from summer solstice to summer solstice. Because of the precession of the equinoxes, the seasonal cycle does not remain exactly synchronized with the position of the Earth in its orbit around the Sun. As a consequence, the tropical year is about 20 minutes shorter than the time it takes Earth to complete one full orbit around the Sun as measured with respect to the fixed stars. Ancient custom has a new day start at either the rising or setting of the Sun on the local horizon (Italian reckoning, for example, being 24 hours from sunset, oldstyle). The exact moment of, and the interval between, two sunrises or sunsets depends on the geographical position (longitude as well as latitude), and the time of year (as indicated by ancient hemispherical sundials). 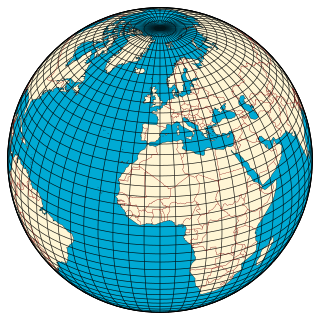 A (geographic) meridian is the half of an imaginary great circle on the Earth's surface, terminated by the North Pole and the South Pole, connecting points of equal longitude, as measured in angular degrees east or west of the Prime Meridian. The position of a point along the meridian is given by that longitude and its latitude, measured in angular degrees north or south of the Equator. Each meridian is perpendicular to all circles of latitude. Each is also the same length, being half of a great circle on the Earth's surface and therefore measuring 20,003.93 km. Noon is 12 o'clock in the daytime, as opposed to midnight. The term 12 p.m. is sometimes used for noon. In observational astronomy, culmination is the instant of time of the transit of a celestial object across the observer's local meridian. During each day, every celestial object appears to move along a circular path on the celestial sphere due to the Earth's rotation creating two moments when it crosses the meridian. 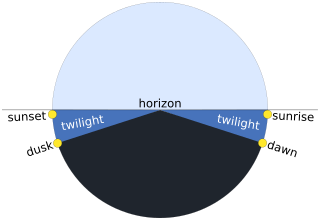 Except at the geographic poles, any celestial object passing through the meridian has an upper culmination, when it reaches its highest point above the horizon, and nearly twelve hours later, is followed by a lower culmination, when it reaches its lowest point. The time of culmination is often used to mean upper culmination. A day, understood as the span of time it takes for the Earth to make one entire rotation  with respect to the celestial background or a distant star (assumed to be fixed), is called a stellar day . This period of rotation is about 4 minutes less than 24 hours (23 hours 56 minutes and 4.1 seconds) and there are about 366.2422 stellar days in one mean tropical year (one stellar day more than the number of solar days). Other planets and moons have stellar and solar days of different lengths from Earth's. A day, symbol d, defined as 86 400 seconds, is not an SI unit, but is accepted for use with SI. The Second is the base unit of time in SI units. Mainly due to tidal effects, the Earth's rotational period is not constant, resulting in minor variations for both solar days and stellar "days". The Earth's day has increased in length over time due to tides raised by the Moon which slow Earth's rotation. Because of the way the second is defined, the mean length of a day is now about 86 400.002 seconds, and is increasing by about 1.7 milliseconds per century (an average over the last 2 700 years). The length of a day circa 620 million years ago has been estimated from rhythmites (alternating layers in sandstone) as having been about 21.9 hours. Leap seconds are announced in advance by the International Earth Rotation and Reference Systems Service (IERS), which measures the Earth's rotation and determines whether a leap second is necessary. In the 19th century, an idea circulated to make a decimal fraction (​1⁄10 000 or ​1⁄100 000) of an astronomical day the base unit of time. 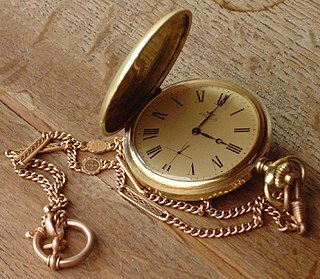 This was an afterglow of the short-lived movement toward a decimalisation of timekeeping and the calendar, which had been given up already due to its difficulty in transitioning from traditional, more familiar units. The most successful alternative is the centiday , equal to 14.4 minutes (864 seconds), being not only a shorter multiple of an hour (0.24 vs 2.4) but also closer to the SI multiple kilosecond (1 000 seconds) and equal to the traditional Chinese unit, kè. A full dark and light period, sometimes called a nychthemeron in English, from the Greek for night-day;  or more colloquially the term 24 hours. In other languages, 24 hours is also often used. Other languages also have a separate word for a full day. For most diurnal animals, the day naturally begins at dawn and ends at sunset. Humans, with their cultural norms and scientific knowledge, have employed several different conceptions of the day's boundaries. Common convention among the ancient Romans,  ancient Chinese  and in modern times is for the civil day to begin at midnight, i.e. 00:00, and last a full 24 hours until 24:00 (i.e. 00:00 of the next day). In ancient Egypt, the day was reckoned from sunrise to sunrise. The Jewish day begins at either sunset or nightfall (when three second-magnitude stars appear). Sidereal time is a timekeeping system that astronomers use to locate celestial objects. Using sidereal time, it is possible to easily point a telescope to the proper coordinates in the night sky. Briefly, sidereal time is a "time scale that is based on Earth's rate of rotation measured relative to the fixed stars". Decimal time is the representation of the time of day using units which are decimally related. This term is often used specifically to refer to the time system used in France for a few years beginning in 1792 during the French Revolution, which divided the day into 10 decimal hours, each decimal hour into 100 decimal minutes and each decimal minute into 100 decimal seconds, as opposed to the more familiar UTC time standard, which divides the day into 24 hours, each hour into 60 minutes and each minute into 60 seconds. 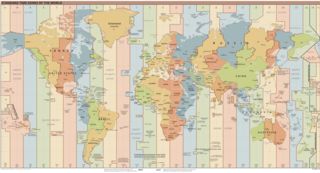 Coordinated Universal Time is a time standard by which the world regulates clocks and time. It tracks Greenwich Mean Time. It is within about 1 second of mean solar time at 0° longitude, and is not adjusted for daylight saving time. In some countries mean solar time is official, but time signals for general use are based on UTC. Greenwich Mean Time (GMT) is not a synonym for UTC and predates UTC by nearly 300 years. ↑ Weisstein, Eric W. (2007). "Day" . Retrieved 2011-05-31. ↑ Weisstein, Eric W. (2007). "Solar Day" . Retrieved 2011-05-31. ↑ BIPM (2014) . "Unit of time (second)". SI Brochure (8th ed.). ↑ "day – Definition of day in English by Oxford Dictionaries". Oxford Dictionaries – English. ↑ "day" – via The Free Dictionary. ↑ "Definition of DAY". www.merriam-webster.com. ↑ Online Dictionary Definitions of "day". ↑ Online Dictionary Definitions of "daytime"
↑ The average over the last 50 years is about 86 400.002. The yearly average over that period has ranged between about 86 400 and 86 400.003, while the length of individual days has varied between about 86 399.999 and 86 400.004 seconds. See this graph: (data from "Earth Orientation Parameters". International Earth Rotation and Reference Systems Service. Archived from the original on April 26, 2015. ). ↑ Certain authors caution against identifying "day" with rotation period. For example: Courtney Seligman. "Rotation Period and Day Length" . Retrieved 2011-06-03. A Cautionary Note: Because the rotation period of the Earth is almost the same as the length of its day, we sometimes get a bit sloppy in discussing the rotation of the sky, and say that the stars rotate around us once each day. In a similar way, it is not unusual for careless people to mix up the rotation period of a planet with the length of its day, or vice versa. 1 2 "English Words". Oxford Dictionaries Online (ODO). Oxford University Press. Retrieved 2015-10-17. ↑ BIPM (2014) . "Non-SI units accepted for use with the SI, and units based on fundamental constants". SI Brochure (8th ed.). ↑ "SI Unit of Time (Second)". Resolution 1 of the 13th CGPM (1967/68). Bureau International des Poids et Mesures (BIPM). Retrieved 2015-10-17. ↑ "Unit of Time (Second)". SI Brochure: The International System of Units (SI) (8 ed.). Bureau International des Poids et Mesures (BIPM). 2014 . Retrieved 2015-10-17. ↑ "Definition of NYCHTHEMERON". www.merriam-webster.com. Retrieved 2017-02-01. ↑ See Plutarch, Quaestiones Romanae, 84. ↑ Griggs, Mary Beth (18 January 2019). "Shaky rings help scientists measure Saturn's days – Speedy planet". The Verge . Retrieved 18 January 2019. ↑ McCartney, Gretchen; Wendel, JoAnna (17 January 2019). "Scientists Finally Know What Time It Is on Saturn". NASA. Retrieved 18 January 2019. ↑ Mankovich, Christopher; et al. (17 January 2019). "Cassini Ring Seismology as a Probe of Saturn's Interior. I. Rigid Rotation". The Astrophysical Journal . 871 (1): 1. arXiv: 1805.10286 . Bibcode:2019ApJ...871....1M. doi:10.3847/1538-4357/aaf798.